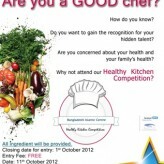 A great opportunity to show off your cooking talents. 3. Youth Empowerment and Development and Education- Promoting positive pathways into inclusion in employment, education and entrepreneurship through innovative approaches and intervention. 4. Women’s Empowerment and Development- Development and Implementation of a range of community involvement and empowerment strategies to increase women’s pride and individual self-confidence through improved skills, advice and personal development. 5. Bangladeshi Community and Voluntary Sector Development- Establishment of an effective, sustainable and resourced Bangladeshi community and voluntary organisations that continues to work for the interest of people it serves. 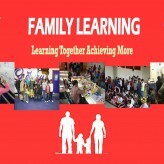 The aim of the ‘Family Learning Together’ is to introduce the concept of family learning and to make these accessible to families with English as second language. The Bangladeshi families in particular face particular barriers to involvement in learning and are not confident supporting their children’s learning. 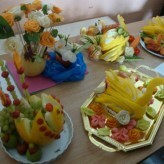 Since Smethwick’s Bangladeshi Islamic Centre (BIC) began their fruit carving course earlier this year, a huge buzz has been created amongst the local women. People who have never considered enrolling on courses before have been unable to resist the creative lure of fruit carving. 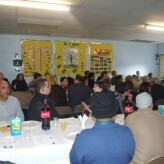 The sessions were organised via BIC’s Women’s Development project funded by the Big Lottery Fund and has attracted over 40 regular attendants.